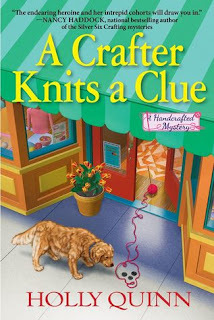 A Crafter Knits a Clue is book 1 in A Handcrafted Mystery series. I've been loving cozy mystery novels lately and grabbed this one fast when I saw it had knitting involved. This was a pretty fun read and I'm excited for the next book. Samantha “Sammy” Kane came back to her hometown, Heartsford, WI a few years back to attend her best friend's funeral. She found out that her friend's crafting store will close so she decides to stay and run the place so her friend's dream lives on. Sammy is setting up for the Spring Fling town event which draws a ton of business for her shop when she goes to help another store owner for a quick second. When she gets into Ingrid's yarn shop, that's when she discovers someone has killed Ingrid with a knitting needle and the car that sped down the alleyway was probably the murderer. Enter Detective Liam Nash, the newbie in town that is lead on the case. He's a hunk and there are sparks between the two but both want to figure out who the killer is. 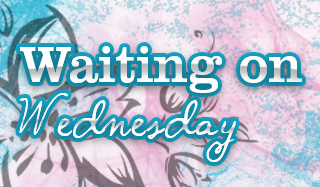 Liam wants Sammy to stay safe and out of the case, but she seems to have a knack at finding clues. Sammy and her two sisters start to unravel some clues the police didn't spot but after a mystery person comes to threaten Sammy the danger is getting a little too close for comfort. They have to figure out who murdered Ingrid before there's another body on their hands. I'm happy to report that I didn't guess who the killer was which is always a plus for me when reading a cozy mystery. A Crafter Knits a Clue is an entertaining read that has you hunting through the clues along with Sammy. I loved that the 3 sisters were all part of the sleuthing element. There were a few red herrings that had me pointing the finger at the wrong suspect along with our leading lady. I liked that there will be a romance element in the future novels since I thought Liam was a hunk. There's also 2 knitting patterns at the end of the book for socks which is a really nice touch. If you're a fan of cozy mystery novels with crafty elements intertwined you'll love this book.